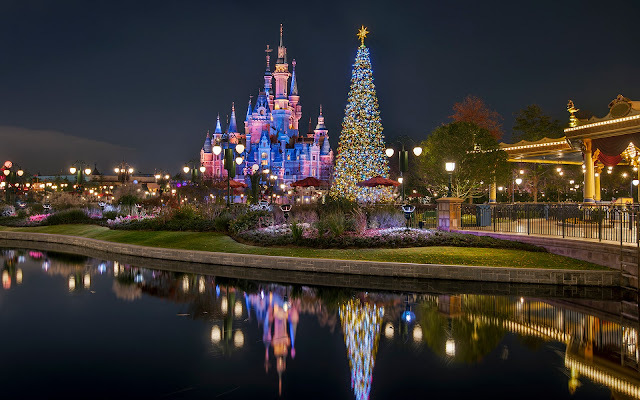 Christmas makes a striking presence at the Gardens of Imagination at Shanghai Disneyland in the form of a towering Christmas tree that visually feels as imposing as the massive Enchanted Storybook Castle. 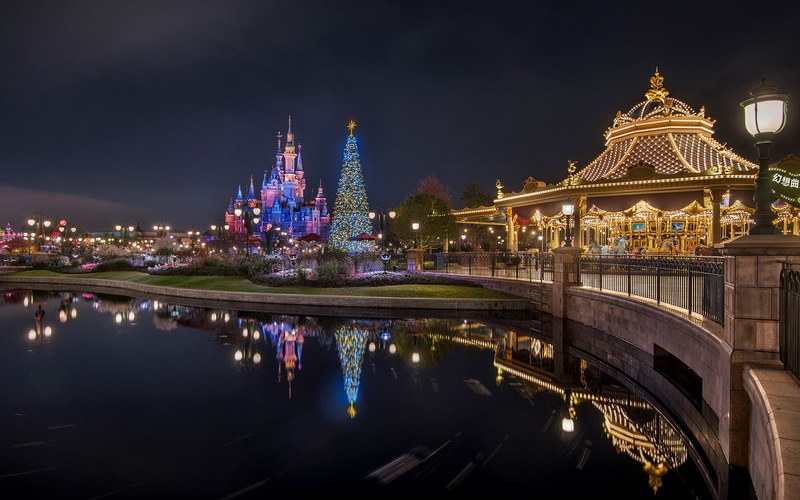 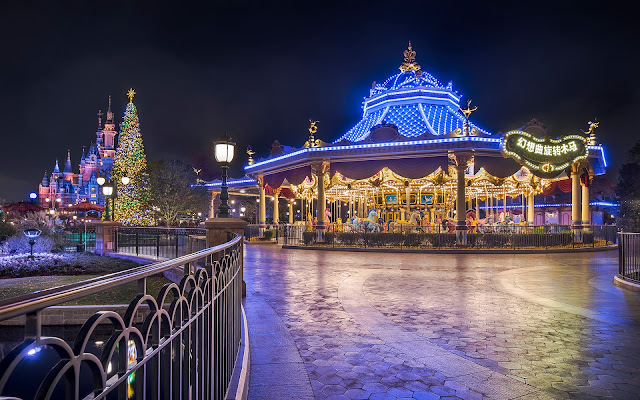 Situated between the castle and the park's Fantasia Carousel, they form three icons in succession that--when illuminated at night--cast an impressive series of holiday glow. Although this is pretty much the extent of holiday theming in the Gardens of Imagination, it certainly packs a powerful punch!